» Hügelkultur - a definition. Hügelkultur is a composting process employing raised beds constructed from decaying wood debris and other compostable biomass plant materials. The process helps to improve soil fertility, water retention, and soil warming, thus benefiting plants grown on or near such mounds. Re: Hügelkultur - a definition. 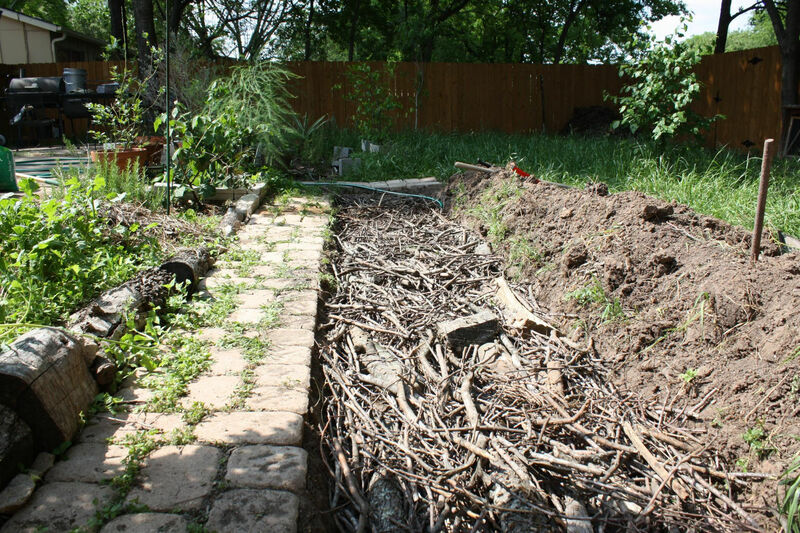 Nice, we have tried this before on our hillside, we added lots of mulched wood, bark, root wads and other biomass and covered it with some of our used soil. The results were lots of healthy plants the next year and less watering than usual. We have very rocky clay soil where i live and adding the organic materials really helps break it up.